Last Saturday, we bought movie tickets for 3p.m show. One hour before it started, we went to Thai Express to grab some food. 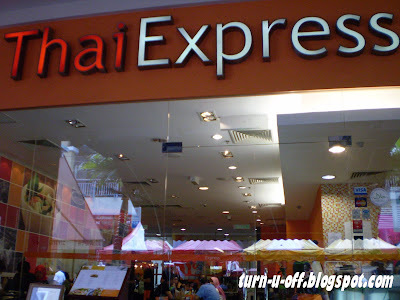 Thai Express at The Curve. Thai Iced Tea (RM5.90) & Iced Lemon Tea (RM5.90). 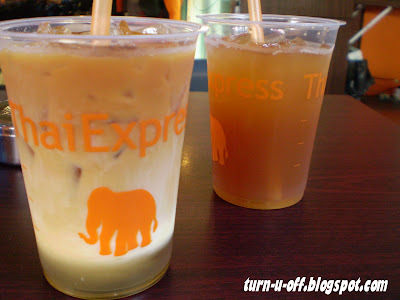 For me, the Thai Iced Tea tastes like teh tarik ais. Woon Sen Tom Yum Gai Nam Sai (RM13.90). 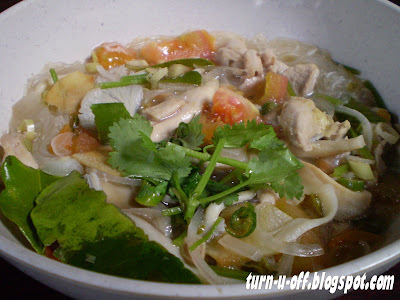 Glass noodles with chicken in tom yum soup. It was just nice as the soup was not very spicy. Popiah Sod (RM8.90). 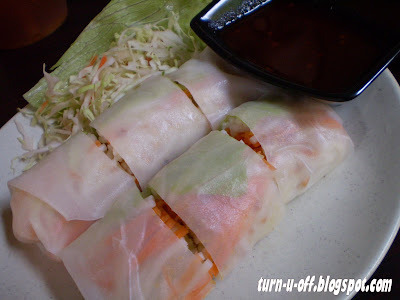 Thai salad rice rolls wrapped with vegetables. If you are on a vegan diet, you might want to try it. Som Tum (RM8.90). 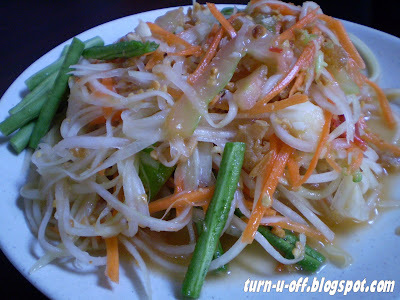 The evergreen spicy papaya salad that we will order whenever we go for Thai food. This was pretty good! Indiana Jones and the Kingdom of the Crystal Skull, the fourth chapter of the Indiana Jones adventure. They said, if you liked the other Indiana Jones movies, you will like this one. But, I didn't even watch the three previous Indy hits! 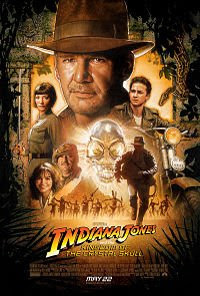 It's because of I want to see the old and fit Harrison Ford mybf who is the biggest fan of Indy series, dying to watch this movie! Well, the movie is basically, entertaining. Otherwise I might have fallen asleep in a comfortable couple seat. You seem to have watched a lot of movies. I haven't been to the cinema...eh...since 2002!! LOL!! Hi Monica, I was without streamyx for 2 days. Kept bugging them until they fixed it up for me today. Waited for them so couldnt go anywhere, now they have fixed it up, still cannot go anywhere, got to start my work lor!! So long didnt go for roti canai, my favorite, but I will not try the roti pisang, is like durian tart, I usually buy for my children but have not tried it. I am not adventurous when food is concern. roti pisang is like durian tart?? I wish so..hahaha..
huh? the other way round? Let me watch the previous Indy movies first then I'll comment on that..hahaha..
Hi Molly, wow! 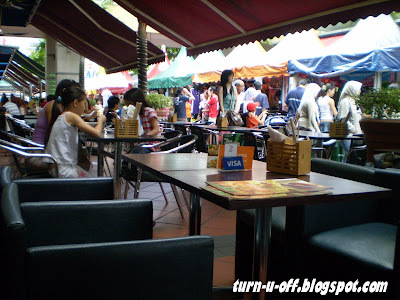 Those Thai dishes, I can even get their scent here, ha ha. Now you're making me drool for Thai food. Always love tom yam. I too love Indiana Jones movies, more to enjoy the special effects. You called me Molly?!? You must be thinking of Molly all the time huh :-D hahaha..